VISIT CAT® SIMULATORS SHOWROOM & HEADQUARTERS! Would you like to visit the Cat® Simulators showroom and Simformotion™ LLC’s headquarters in Peoria, Illinois, USA? We would love to show you our operation. 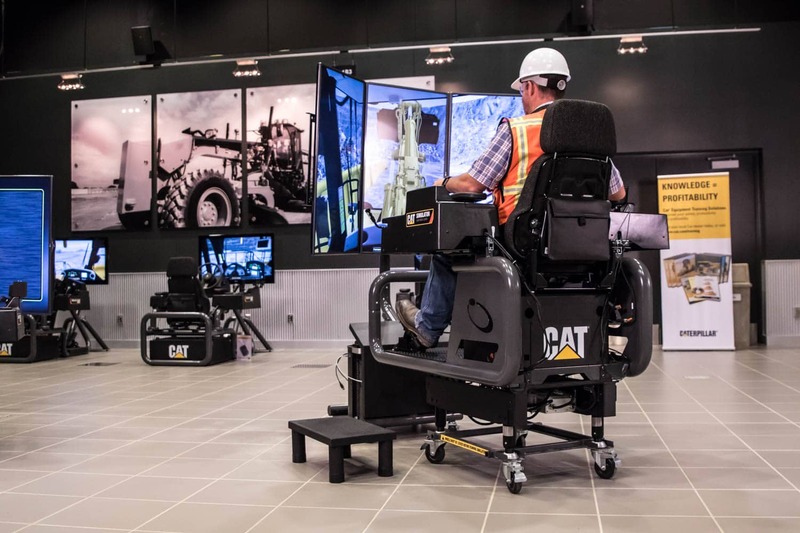 See the entire line of Cat Simulators located at the Caterpillar Demonstration and Learning Center, then visit the headquarters of Simformotion and see where the software and hardware teams are located. Find out how the simulators are developed from the engineering stage to software to shipping them all over the world. See the Caterpillar Visitors Center and discover the history of the big machines, all the way to the inclusion of the simulators in operator training. Note: We have additional locations available. Contact us to arrange a demo in a location near you!